It's officially time to kick off the holiday season! We're thankful for another year of great get-togethers, and for those of you who put in the hard work to make them run smoothly! Thanksgiving can be one of the more challenging holiday events to organize. Whether you’re hosting your first or your fortieth Thanksgiving dinner, the amount of planning and prep-work remains the same. Menu, decor, and set-up are all items on the checklist - but luckily, we have some tips on how to tackle them all! The menu is hands down the most important, and usually most stressful part of Thanksgiving get-togethers. Turkey is, of course, the traditional staple of the meal, but it doesn't have to be a challenge. Follow this mouth-watering garlic butter turkey recipe from Real Simple, and you'll want to cook turkey every week! Next comes the selection of the side dishes. This year, we have our eyes (and stomachs) set on these maple-roasted sweet potatoes from EatingWell.com. 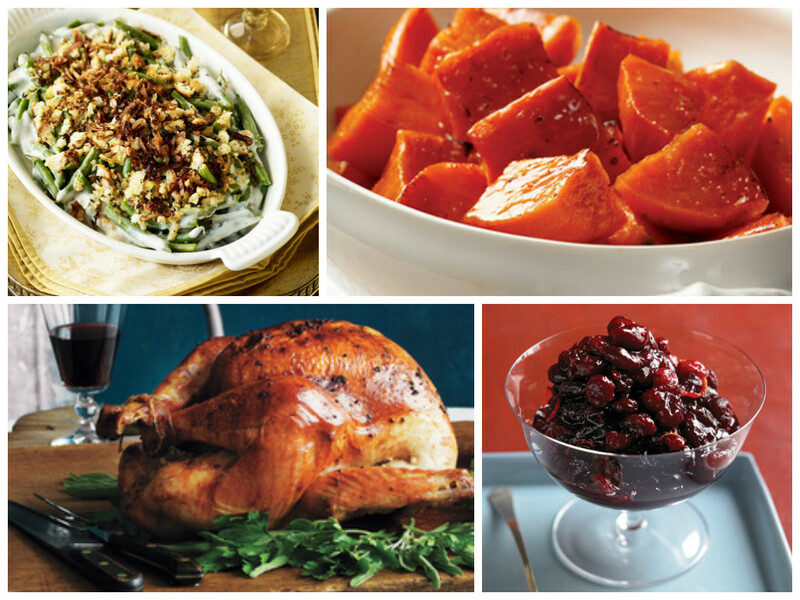 Simple stuffing, basic cranberry sauce (both Martha Stewart Living) and a fresh new take on the green bean casserole (GoodHousekeeping.com) are other great table top additions. If you still can't figure out how on earth to cook a turkey while managing to bake a ton of other sides at the same time, consider yourself human. Luckily, the professionals at Cook's Illustrated have put out this handy schedule to help us all master the Thanksgiving timeline! 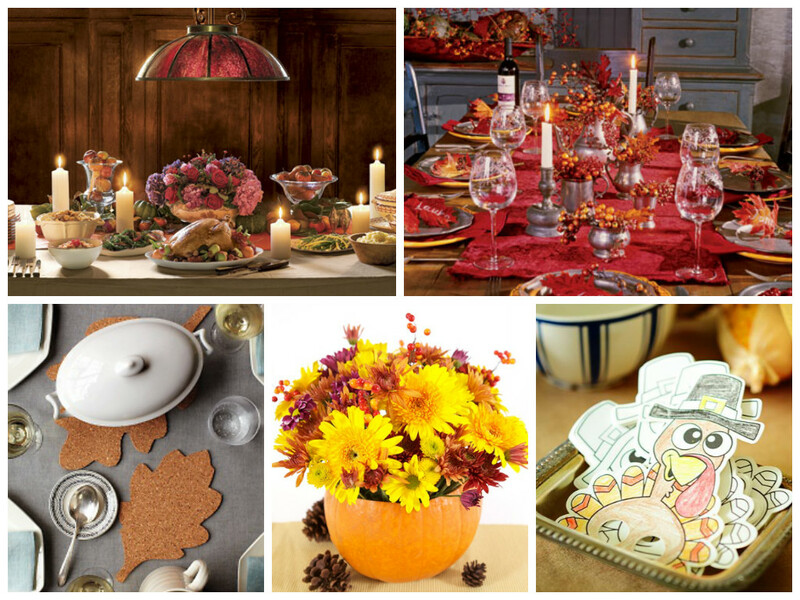 With fall foliage in abundance, it's easy to create a beautiful table display for your turkey-day party. CountryLiving.com has a wide variety of decor inspiration, ranging from elegant to casual. If you're looking for a balance between the two, check out their beautiful jewel-toned table setting. Their Thanksgiving buffet idea made us say, "Why didn't we think of that!?" Placing the food at the end of the table on these adorable DIY corkboard leaf trivets (Martha Stewart Living) will make it easy for guests to help themselves. Whatever table setting you go with, this pumpkin flower arrangement from Spoonful.com will make the perfect centerpiece. When it comes to the little guests, consider filling their table with a little bit of fun. Coloring pages, like these shared by HGTV, are a simple (and relatively mess-free) way to keep kids entertained. Usually leftovers are a mere afterthought of the Thanksgiving meal. However, we've noticed some creative ways to send your guests home with a tasty, and tasteful, to-go package. 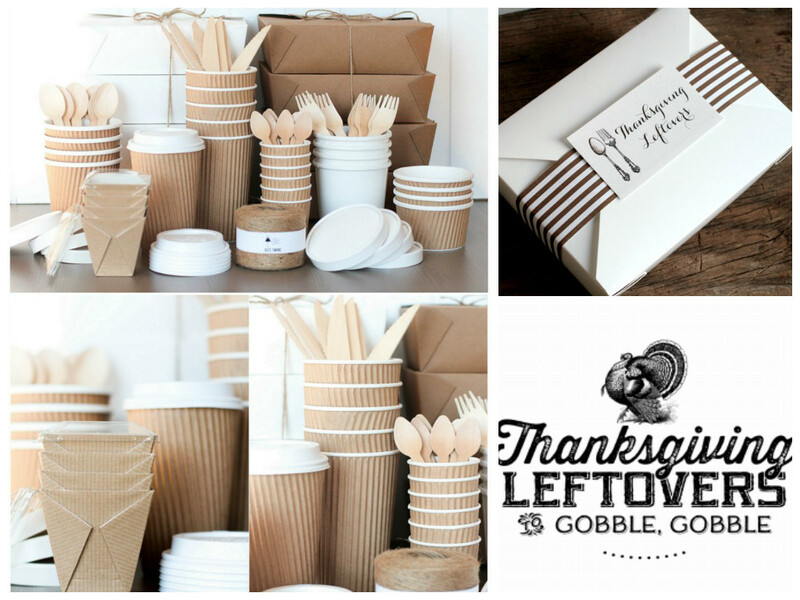 This Thanksgiving Leftovers Kit from The Tomkat Studio has everything you need to pack a personalized package of food. If you want to keep things simple, just print these handy labels from Three Little Monkeys Studio onto adhesive label sheets, then stick them on the container of your choice. We hope these delicious recipes, pretty decor ideas and convenient timeline will help you kick off the holiday season with success! From the GigMasters family to yours, have a Happy Thanksgiving!